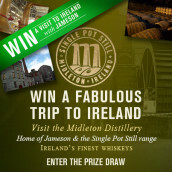 Ireland’s whiskey history is one of the cornerstones of the world’s whisky story. Along with the USA and Scotland, the country’s traditions have informed whisky making around the globe. Success goes in waves, and Ireland is very much on the rise at the moment. 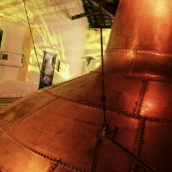 While it’s Jameson and other blended whiskeys that are leading the charge, following in their wake is the most uniquely Irish style of whiskey there is: pot still. There’s only a handful of pot still drams out there, with Green Spot and Yellow Spot two of the best known. But now there is a new dram in the pack – please welcome Red Spot. The story of the Spots starts in 1805, when William Mitchell started his shop at 10 Grafton Street in Dublin. The company started out as a bakery, confectioner and coffee merchant, but William’s grandson Robert expanded into the world of wine, opening a new shop at 21 Kildare Street, a ten minute walk away, and starting to import casks from around the world. The company has remained very much a family business, with Robert’s grandson Bobbie working for the wine side of the business until his death in 1997. Bobbie’s son Jonathan and grandson Robert now run the company. But why are we talking about an old Dublin wine merchant? Because there’s more to the Mitchell’s than grape juice. Along with importing table wine, they also brought in fortified wines and distributed whiskey from across Ireland. 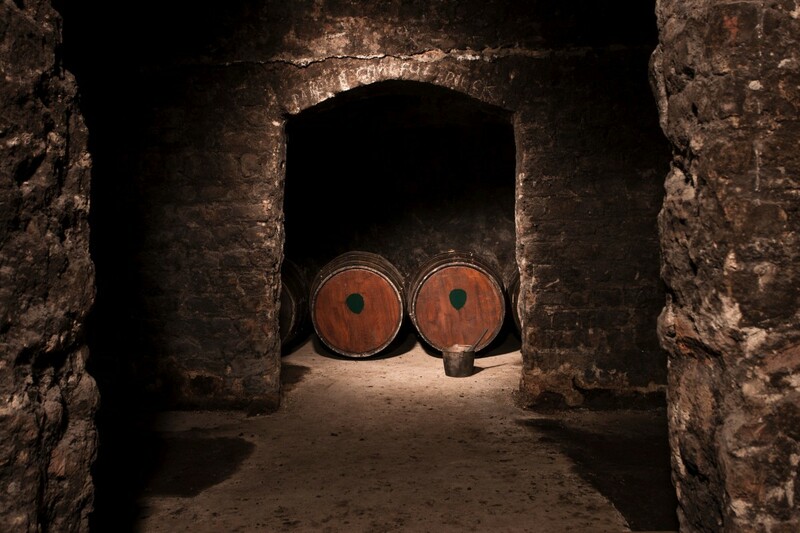 Having interests in wine, fortified wine and whiskey allowed them to cross the streams, buying spirit from Irish distillers and maturing it in their own casks. 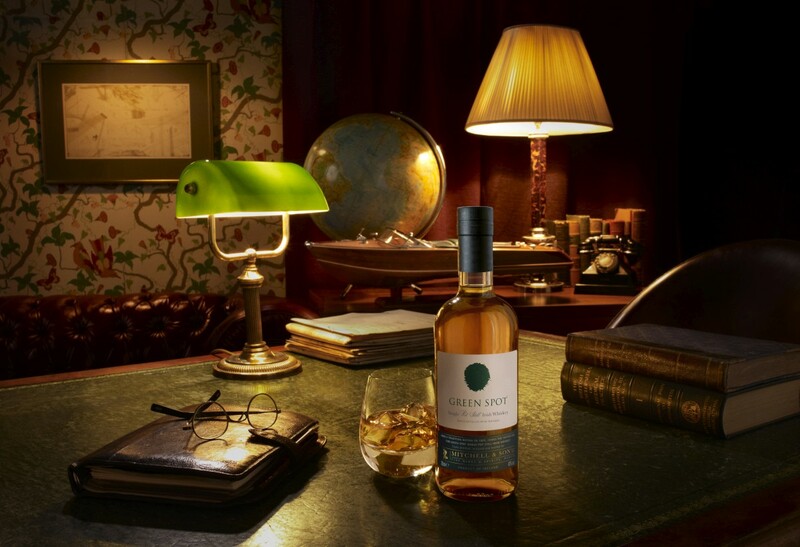 Green Spot – the best known entry in the rangeThese were the days where distillers commonly sold their whiskeys on to bonders, who would mature the spirit in bonded warehouses before blending and bottling them under their own labels. Mitchell’s famously marked their casks with a blob of coloured paint to indicate how long they planned to age the whiskey for – blue for 7 years, green for 10, yellow for 12 and red for 15. Mitchell’s bottled the resulting whiskeys – named for the spots of paint on the cask heads – and the Spots became well known across Ireland. As the industry contracted through the 20th century, the remaining distillers focused on their own whisky brands, and the supply to bonders started to dry up. After Mitchell’s supply of whiskey was cut off and the remaining stocks ran out the Spots started to disappear from the shelves. 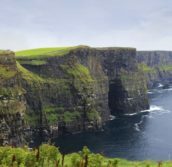 To keep things going they struck a deal with the newly created Irish Distillers conglomerate to keep making Green Spot for them, a deal that has continued into the present day. With the supply of Green Spot severely restricted, it was only available from the Mitchell’s shop in Dublin. 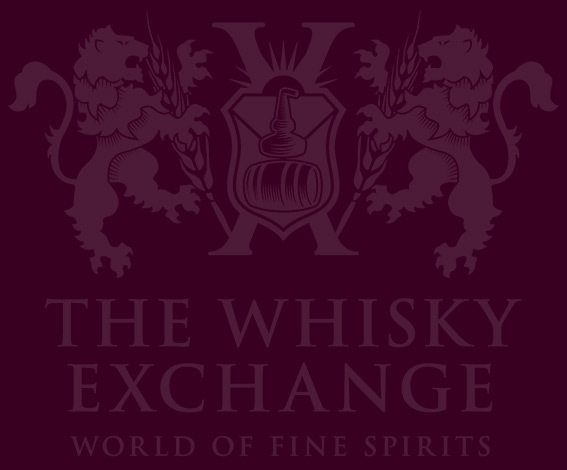 It became a cult whiskey, spoken of in hushed tones through the 1990s by the early whisk(e)y writers – Jim Murray and Michael Jackson were both big fans. As Irish whiskey began to recover, more people heard of Green Spot and Irish Distillers slowly increased production. In 2012, Yellow Spot was relaunched. 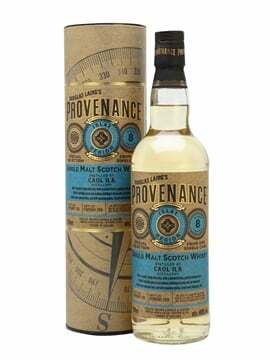 Still 12 years old as the original version was, it has whiskey matured in Malaga casks in the mix. 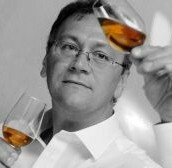 As pot still whiskey has picked up new fans, new bottles have been added to the range, with a pair of wine-cask-finished Green Spots – Green Spot Leoville Barton and Green Spot Chateau Montelena – appearing on the market. However, the question on every Spot fans mind was the same – which colour is coming next? In mid-2018 we found out the answer – Red Spot. 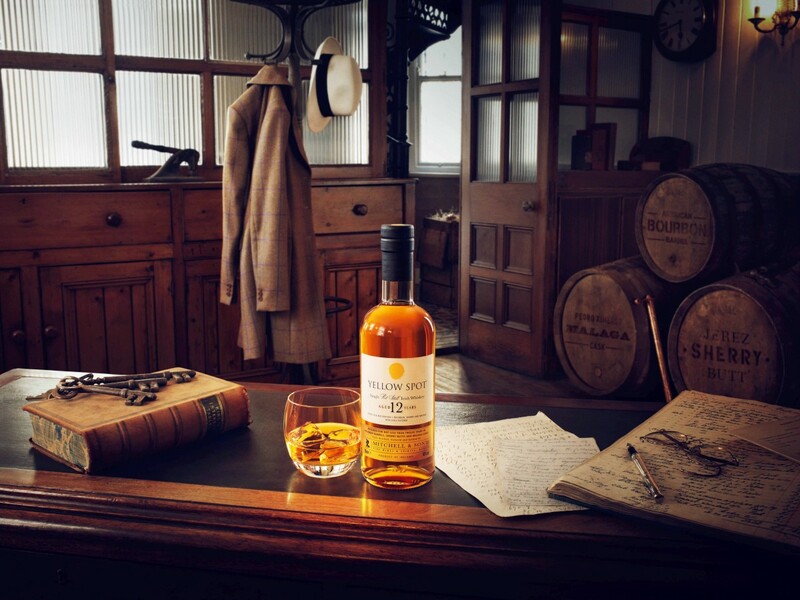 It’s very much a new whiskey rather than a recreation of the original, which disappeared in the 1960s, but it takes inspiration from the mix of wine casks that would have been found in the Mitchell’s cellars in the heyday of bonding. 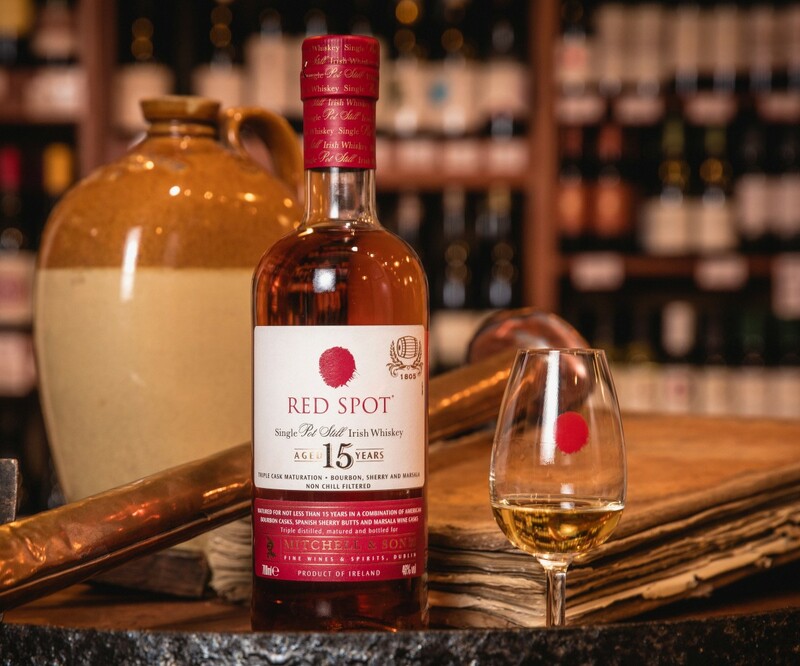 Red Spot is a 15-year-old whiskey from a mix of American-oak bourbon casks, Spanish-oak sherry butts and Marsala wine casks. 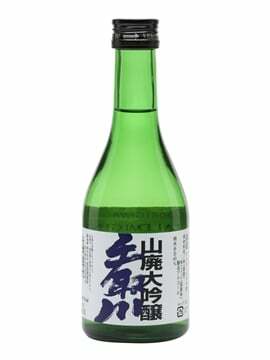 Nose: Spiced butter, ginger bread, butter icing, hints of mint and underlying rich fruitiness – sultanas and raisin jam. Spiced cake batter and mixed peel follow, with candied lemon notes developing. Palate: Rich and thick on the palate, with spiced caramel and hints of barrel char bitterness. Toffee and sultanas build, with more gingerbread, stewed orchard fruit and soft spice. Finish: Butterscotch and spiced fruitcake fade to leave sweet muscat grape skins and rich baked apple. Comment: The top of the Spots, with more weight, more age and more complexity than its younger siblings. 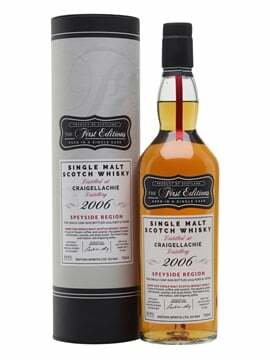 It still has the Spot-y elegance, but also extra oomph from the age and casks. 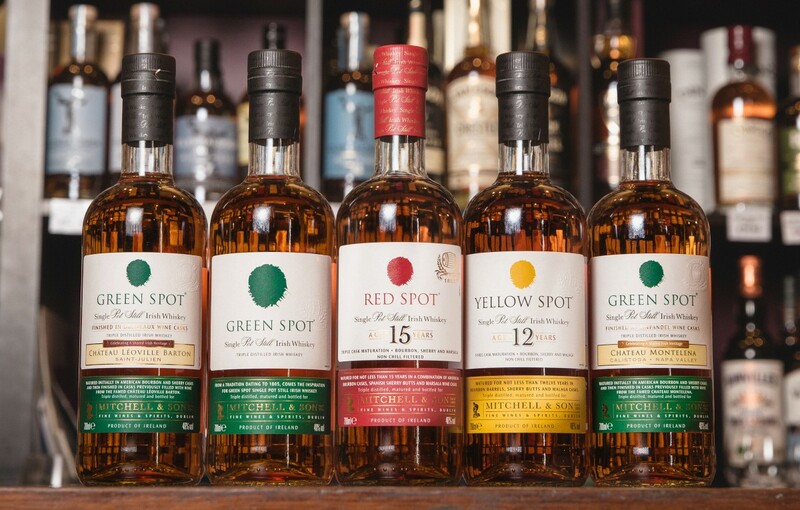 With Green Spot still a firm favourite of the whiskey-drinking world, Yellow Spot following on behind it and Red Spot finally landing, the future’s looking bright for the Spots. Irish Distillers and Mitchell & Sons are already looking for the next project, with occasional single casks – including our recently released Green Spot 1991 Marsala and 2006 bourbon cask – appearing. Now that we have Red Spot, the question that pot-still fans are asking has changed: when will we see Blue Spot?